Choosing a bike for college is an important decision. This is because the cost of a college education is significant and so every effort should be made to keep the initial costs down. That laptop for the dorm, the all weather jacket that’s reversible, and a bike for college are all things that one doesn’t want to waste money on by having to buy them more than once due to a bad purchase. Getting the buying decision right the first time is critical, whether looking to purchase the best bike for college, best college bike for the money, or best bike on a budget. In our search for the best bikes for college, we’ve looked at many different bike models and tested them out to determine which are suitable for a college students. There are different frames, wheels, tires, handlebars and other parts of a bike that don’t suit all people and can be unsuitable for a student. In our review, we bear all this in mind when making our recommendations. The Schwinn Men’s Phocus 1600 men’s road bicycle is our overall winner in the Best Bikes For College category. This is considered by us the best college bike on the market! This bike includes a number of features which set it above the competition as a suitable bike for a college student. It has just enough racing spirit to make it feel like a sporty road bike without getting into the kind of high-end materials that would push the price into the stratosphere of the unaffordable. This little bit of style without the high cost will make this Schwinn bike especially appealing to college students. The aluminum frame on this Men’s Phocus, like many other brands, takes its cue from the original Kinesis Industry 6061 aluminum frame. It has an aluminum frame matched with a carbon fiber fork, which delivers a sturdy, yet agile riding experience on the road. The Men’s Phocus 1600 also uses the Shimano Claris derailleur system, which comes with integrated shifters for easier movement between gears that delivers plenty of speed when wanting to really let the bike out on long rides. Fortunately, Schwinn have thoughtfully included the Promax alloy caliper road braking system to provide robust stopping performance to keep young cyclists safe on the roads near the college campus. The alloy rims sit high and have paired spokes. This helps to ensure good maneuverability delivering both strength and lightness. The front and rear wheels can also be removed and swapped out quickly when needed. The bike itself only comes in a single size and weights 23 pounds. It is suitable for male cyclists between 5’10”-6’2″ in height. However, it is possible to adjust the seat lower to make it suitable for someone 5’8”-5’9” to use this road bike too. The Giordano Libero Acciao Road Bike is our pick in the Best Bikes For College for the money category. Firstly, the Giordana Italian brand has been synonymous with a quality road cycling experience for decades. The company aims to provide innovative technological advancement in cycling while ensuring that their range of products remains affordable for the cyclist with an average budget. The Libero Acciao actually comes in small, medium and large frame sizes. This makes it easier to choose the right bike frame for the rider’s height. The smallest model will fit a cyclist who is 5’1” to 5’8” whereas their large model will suit cyclists standing 6’2″-6’5″ tall. The Giordana Acciao (Acciao means steel in Italian language) which is appropriate here as all models use a steel frame and fork. The 1 1/8″ alloy threadless stem matched with the alloy handlebar ensures the bike has a strong feel to it and runs on 700c aluminum wheels. For speed, the 14-speed Shimano Tourney STI drive train lets bicyclists slip through the gears with consummate ease. For the long bike rides, owners can prepare by bringing along a water bottle which fits securely in the down tube water bottle mount. We particularly like the well rounded nature of the Giordana Acciao. Whilst buyers are not going to see the type of materials used in $1,000+ bicycles, this Italian manufacturer has done a good job of using a mix of quality components, like a sturdy bike frame and excellent Shimano drive train, to deliver a quality cycling experience. Whether for college students or simply beginner to intermediate cyclists, this model has much to recommend it for its price. Selecting a bicycle that meets the test for our Best Bikes For College on a budget category is a challenge in itself. Manufacturers are forced to make some difficult decisions about where to spend money and which places to cut back. No one part on a bike can be given a best-in-class component because it would leave too little money left to deliver the remainder of the bicycle to a good high standard. For this reason, selecting a good bike on a budget needs careful consideration to get the balance right. The GMC Denali Road Bike is our winner in the affordability category because it offers excellent value for money. This multi-speed road bike uses an aluminum frame which gets the job done. It’s not made of steel, like the Giordana Acciao (see above), but it can support different sized cyclists. 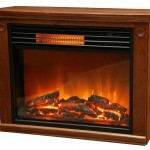 This model helpfully comes in x-small, small, medium, large frame sizes. There is also a nice choice of color schemes (black/green, red or black/pink). With the x-small frame size, only the black/pink color scheme is available with this version of the bicycle which comes with pink handlebars clearly aimed at the women’s bike market. Perhaps the best feature of the bicycle is the Shimano derailleur and Shimano Revo shift set. This brand of derailleur is seen most often on bicycles costing twice the price of this GMC Denali model. Attractive Vitesse racing rims lend the bike a bit of style, paired up with 700c tires that can handle street roads at various speeds. Our budget winner is a good choice for college students who don’t have many dollars to spread around. The target college consumer needs a basic bicycle to get to college and perhaps ride around town on the weekend. The GMC Denali Road Bike can handle longer trips too, but it is certainly not intended to be used in the Tour De France! Owning a bike for college says a lot about convenience. Being able to move around campus quickly from building to building, class to class, certainly has its plus points. Beyond the cost of the car purchase (which many students will finance), they always are more expensive to own that one would expect. The insurance is expensive, repairs and maintenance really add up, and the cost of parking takes a bite out of a student’s spare change. A row of bike racks to secure the bicycle by using a reliable bike lock can be found at most campus grounds. There’s no repeat parking fee to “park the bike” outside of the college building where the class is taking place. Fees to park a car can easily run $200-300 depending on the state. Bicycles are cheaper to replace than a car. Even with cars that are fully insured, invariably the insurance premium will go up post-claim and there will also be those little extras that weren’t covered. Bike locks don’t usually cost much more than $15-20 and deter thieves from making off with the bicycle. Whilst losing a bike is a pain, losing a car through theft is a major drama which is not needed when the focus should be on college classes. Avoid the pain, own a bike instead. For anyone who truly cares about the environment, there are fewer nasty emissions when peddling down the road on the bicycle to science class (asphalt and concrete still play a part on emissions from cyclists). Even with hybrid cars, there is still carbon emissions to deal with. Official data from the U.S. Department of Transportation indicates that 21 grams of CO2 are emitted per person and kilometer traveled, whereas a whopping 271 grams is emitted by car for each person and kilometer traveled. Riding to college is Eco friendly. Instead of paying for a pricey gym membership while studying, students can use the bike to get a good workout in when college classes are over. They can take the bicycle out on the weekend for longer rides or if when situated in a mountainous area like Colorado, take advantage of the many bike trails to get their heart rate up. Choosing a great bike for college is no easy task. There are many different aspects to consider. With college bicycles, to a great extent, the buyer gets what they pay for. The basic models come priced between $100-200, but lack advanced, light-weigh parts and durability that is needed over a multi-year ownership period. With budget models, the buyer has to decide what they are willing to give up? The better bike frames come in steel or aluminum, sometimes with carbon fiber forks for flexibility and strength; the cheaper models are almost always built using thinner, lower quality aluminum. Other bicycle components also reflect the lower budget too. With a budget around $400, the bike frame is likely to be steel, or a stronger aluminum, and may have carbon fiber forks in some cases. The wheel rims will be stronger, better designed and often use brand names like Vitessa. There will be more gears to open up the bike on longer rides and for faster racing possibilities. The drive train type is also likely to be more sophisticated and made by a reputable manufacturer like Shimano. The braking pads and braking system will be improved for better responsiveness and improved durability. The tires will be made of an improved rubber compound and most likely the bike seat will be considerably more comfortable (typically, the first thing the buyer of a budget bike does is replace the seat). Looking at bicycles above $500, the buyers’ choice narrows noticeably as do the type of parts and materials used in the bike’s construction. The major differences in this price bracket is that the road bikes are made to be lighter and more suitable for racing meets where shaving a fraction of a second off a race time actually matters to the cyclist. For most college students looking for the best bike for college, this price point is more about buying status than utility. Unless the student’s budget is low, our advice is to look for a steel or strong aluminum frame at a minimum and if the frame includes a carbon fiber fork, this is ideal. Thin aluminum frames are often the weakest. Whilst a basic aluminum frame on a budget road bike will be fine for short rides and an ownership period of a couple of years, it is less likely that a bike with an aluminum frame will stand the test of time unless backed by a quality bike brand. Carbon fiber adds flexibility whilst maintaining strength. It is also much lighter than steel, so carbon fiber forks help the cyclist lift the front wheel up on the sidewalk when needed. It is necessary to purchase a bike that fits the height and build of the cyclist. Some bike models only come in one size, whereas other models offer several frame sizes. For students who are heavy set, they will also want to consider whether the bike frame will be sturdy enough for their build. Some bikes are only intended for men and others only for women; one of our recommended bikes actually has a smaller size model for women, which is unusual in the marketplace. Depending on the bike model, it is sometimes possible to select a preferred color. In other cases, the model came only with a single color or two color mix with the appropriate decals already affixed to the frame which leaves the buyer without a choice of colors. There are bike shops that can perform custom bike paint jobs to individualize a student’s road bike. The drive train, which is the collection of components that helps operate the gear mechanism, is a critical part of any bike. The Shimano brand from Japan is a good one to look out for here. Both the budget and mid-range bikes use Shimano parts, including our recommended bikes in this review, which makes a quality drive train accessible to buyers with different budgets. The better derailleurs may have integrated shifters to help change gears more smoothly too. Alloy wheel rims with an attractive spoke design are good to look out for. Often the front and rear wheels can be quickly released for easy tire changing or replacement of a buckled wheel rim. Quality road brakes are clearly important. Alloy caliper brakes and alloy brake levers are also good components to look out for with any chosen road bike. Bike brands offer many types of bikes like racing, road, mountain, hybrid, etc. These types each have their pros and cons. In this review, we focus on road bikes that are suitable to ride on the street roads between home and campus, around the campus grounds, and beyond. Each of the college bikes featured are delivered packed and need to be assembled. It can take approximately 1-2 hours to complete the bike assembly. It is also possible to ask a friend who is handy with their tools to come to help or request the local bike store to assist you with their professional assembly services. In most cases, the buyer can assemble the bike themselves without needing any further assistance. Is it possible to accessorize? 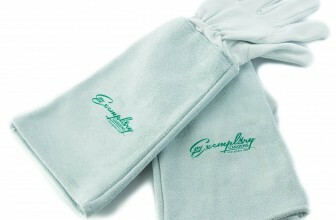 There are many accessories that are useful to new bike owners. 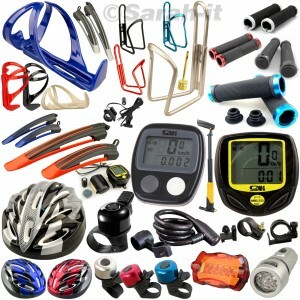 These include front and rear lights, disc reflectors, water bottle mounts, water bottles, a basket, and a solid lock. However, for college students, being able to purchase a rack for the rear of the bike, secured to the frame, is pretty important too. The rack is best decked out with quality panniers that can be used to hold books and papers securely whilst keeping them out of the rain on bad weather days. A front basket can perform the same function, but it doesn’t do so well with bad weather and books tend to get marked and bent during a ride. Panniers and a bike rack are the best way to go here. Our recommendations for bike accessories are covered in the Other Considerations section in this Best Bikes For College review. 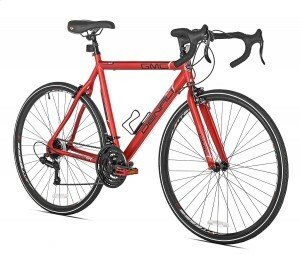 The Best Bike For College is the Schwinn Men’s Phocus 1600 road bike with 700C tires and a comfortable drop bar. The original Schwinn brand went bankrupt in 1992, but it was quickly acquired by Pacific Cycle. The latter company saw value in continuing the tradition of original and quality third party components used to produce impressive Schwinn bicycles that cyclists enjoy riding to this day. This Schwinn bike model is built around a sturdy 56cm Schwinn road aluminum bike frame that is paired with a strengthened carbon fiber road fork. The addition of the carbon fiber component helps increase the lightness at the front for faster turns and excellent maneuverability in confined spaces. The lifetime guarantee from Schwinn covering the entire period of ownership for the original buyer speaks volumes. The aluminum road frame is complemented by the drop bar handlebar which is elegantly designed and will suit college cyclists who either like to sit up in the seat or drop down into a faster, racing position. The drop bar is a standout feature with the Schwinn Men’s Phocus 1600 bike. It comes with an alloy a-head stem featuring a 7-degree drop down to the main part of the bike frame. The 18-inch alloy rims, with angled paired spokes in a 4-spoke pattern, creates an unusual view of the wheel rims when in use compared to other bikes using a more uniform spoke design. The rim spokes nevertheless are strong and add to the tensile strength of the wheel. The front wheel can easily be released to change the tire or replace the wheel rim itself. Each model is fitted with a set of quality Kenda Kontender K-196 700 x 23c tires. Kenda is a respected tire brand that should provide durability on uneven road surfaces through their puncture resistant design rubber compound forumulation. One of the important aspects of road safety is the braking system supplied with each bike. Here, one of the reliable Promax road brake systems is used to deliver improved braking power. Promax alloy caliper road brakes with MicroShift road levers offer solid performance in a range of weather conditions and different cycling speeds. Below the wheel, the SR Suntour Alloy Road Crank 42/52T system is used which ensures access to a larger number of gears. The foot pedals are made of alloy and resin with a toe cage and light reflectors on each side of the rotating pedal for safety. The KMC-Z8 chain is also a reliable one. It connects between a front and rear Shimano Claris 14 speed derailleur system. This part is heavier than the Shimano Tiagra or Sora, but for a college bike this is perfectly adequate. The Shimano 2300 Shifter and Brake Level set is supplied here too for thumb control over gear changes right from the drop bar. One of the important aspects of road safety is the braking system supplied with each bike. Here, one of the reliable Promax road brake systems is used to deliver improved braking power. The main disadvantage for some potential buyers is that the single size means that the bike frame will only suit cyclists who are 5’10” to 6” in height. It is possible to lower the seat a little to let riders an inch or two shorter still find the bike usable, but this will certainly be seen as a restriction for some shorter college students. The Schwinn Men’s Phocus 1600 is a good all-rounder. It offers some improvements over the basic, budget road bike models with the inclusion of the Japanese Shimano deraileur system and integrated gear shifter. Combining the aluminum frame with a carbon fiber fork ensures agility at the front of the bike when needing to hop up over obstacles on campus. The Promax braking system and Kenda Kontender tires will also give any nervous cyclist more confidence that they can bring their bike to a controlled stop when that becomes necessary. Overall, we awarded the Schwinn Men’s Phocus 1600 road bike with our Best Bikes For College award because it has managed to deliver on what the college student needs who has deeper pockets and expects that little bit extra for their money. The improved components should ensure the bike can be used beyond their freshman year, making the greater investment worth the price. 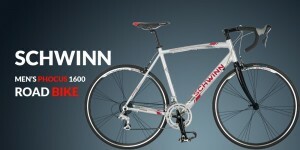 It is worth noting that there is also a Schwinn Women’s Phocus 1600, 16-inch bike available in white color. 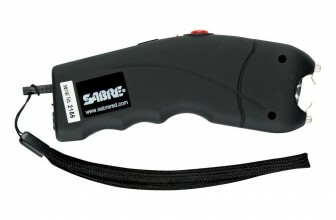 The model features the same parts and benefits of the Men’s version. Our Best Bikes For College for the money is the Giordano Libero Acciao Road Bike. The Libero Acciao is considered an entry-level road bike by the Italian company that makes it. However, despite this, the bike manufacturer manages to pack some good features into their Acciao road bike model. The frame is the first thing that stands out. Acciao means steel in Italian. It stands to reason that this bike frame will be all-steel in construction and it is. This includes the fork with the company escuing the option of including a front carbon fiber fork for an all-steel bike frame construction. 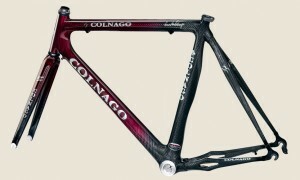 High tensile steel is used throughout the frame and fork, with the headset also using steel too. The drop bar handlebar is made of alloy with a 42cm diameter. The stem connecting the drop bar to the rest of the bike frame uses Uno threaded alloy for added strength. There are alloy side pull brakes for the front and rear of the bike. The 32 hole hubs have a front and rear quick release system for ease of access to the wheel rim and the tire. The rims are Vitessa Alloy 700c 32 hole designs with a V-shape from 4 spokes splayed in groups. There is a prominent white-colored Vitessa branding along the rim. The fitted tires are Black Road Clincher 700x 25 models which are unassuming. The foot pedals are VP Plastic Body with Alloy Cages with built-in disc reflectors to illuminate when light is shone on either of them. One of the better features of this bike is the Japanese Shimano Tourney Sti 14 speed shifter with integrated brake levers, providing faster gear changes when going up hills or wanting to pick up speed quickly. The Shimano CS HG20 7 Speed 12-28 cassette is used in conjunction with the Shimano FDAO70 derailleur and the Shimano Tourney Road A070 rear providing effective bike control. The Velo Road Steel Rails saddle is provided which delivers just enough of a cushion to find it acceptable for short to medium duration rides. Anything longer and you might want to swap it out for a different seating arrangement. There is down tube mounts for water bottles included with this bike. There is no choice of colors for the Giordano Libera Acciao. Nevertheless, buyers should not be disappointed with the bright red paint and white strip adored with the Giordana brand logo placed in three strategic locations. The Giordano Libero Acciao bike is available in three sizes (small, medium or large). The small size is suitable for riders 5’1″-5’8″ with an inseam of 28″-30″, the medium size will suit riders 5’8″-6’0″ with an inseam of 30″-32″, and the large size will be good for riders 6’2″-6’5″ with a stand over of 33″-35″. 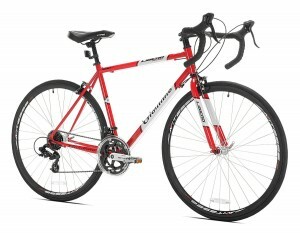 This Giordano model fits the bill in the Best Bikes For College for the money category because it is more affordable than the aforementioned Schwinn road bike whilst still delivering good value. The three frame sizes make it easier to find a model that will fit the frame properly. A different approach has been taken to what parts have been used in the construction of the Acciao bike. It will be more sturdy due to the steel frame, but less agile because of it. However, the bike is likely to be a good investment as the steel frame can sustain more damage than an aluminum one could handle. Depending how careful or experienced the college cyclist is, this could be a desirable quality in itself. The GMC Denali Road Bike wins our Best Bikes For College on a budget category due to packing in many features at an affordable price that will suit almost any college student on a tight budget. The Denali road bike has an aerotube aluminum alloy frame which ensures that it is both light and maneuverable. The frame is actually more rigid than one might have initially thought. The brakes have alloy calipers and alloy brake levers which do a decent job of cutting down speed quickly, but won’t impress seasoned riders used to a more robust and responsive braking performance. One of the high points on the looks front is the high-profile alloy Vitesse racing rims that have eye-catching quality and display the Vitessa branding without embarrassment. The 700c tires are less noteworthy but certainly get the task accomplished. Another impressive inclusion is the Shimano derailleur and Shimano Revo shifts which help shift gears more easily. One of the advantages of the GMC Denali Road Bike is that it comes in a range of sizes and colors. There is a large, medium, small and x-small frame size, which each use 700c tires. 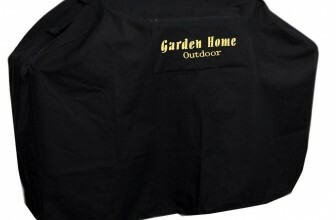 The choice of colors is a black/green combination, red, or a black/pink combination (x-small size is available only in the Black/Pink color scheme). In the case of the foot pedals, they will suit riders will size 10 or smaller shoe sizes. Whilst this Denali model is a road bike, one has to temper one’s enthusiasm in this regard. The bike can certainly be ridden on the road near the college campus and on short trips, but due to the less expensive nature of the component parts, one should not expect the bike to hold up on extended road trips or road racing. This model is ideal for students on a budget because it offers just enough to provide a good ride whilst not breaking the bank in the process. However, you get what you pay for with road bikes, particularly when it comes to bike component parts, which tend to be more durable when being willing to pay more at the start. Care does need to be taken when using the kickstand as the kickstand base is not as sturdy as one would have hoped for. Regarding the seat provided, some riders may wish to replace it for something a little more comfortable if they plan to go on longer bike rides. The inclusion of a down tube water bottle holder is a nice touch though. The GMC Denali Road Bike is the winner in the Best Bikes For College on a budget category because it delivers on all fronts at the basic level expected. Buyers should not hope that the bike will still be usable 4 years down the line, but for college students with only a few dollars to spare for transportation, the GMC Denali road bike is likely to be ideal. With any new bike purchase, it goes without saying that there are some accessories that need to be acquired to go with it. Rack and Panniers – As mentioned earlier in the review, a rack and a good set of panniers to hold college books and notebooks is essential. Some racks can be clipped on or it can be preferable to have a rack fitted by drilling holes in the bike frame to make it more secure. The Topeak Explorer Bike Rack is one possible bike rack that might be appealing. The BV Bicycle Panniers with Adjustable Hooks and Carrying Handle is a slick black pannier set with white trim which is ideal for toting college books around campus comfortably. Lights – Effective lighting is essential on the roads. Both the BV Bicycle Light Set Super Bright 5 LED Headlight, 3 LED Taillight and the Aodor USB DC Rechargeable Water Proof Ultra Brilliant Cree bike Headlight With 2 Free Led Taillight would be good choices for strong illumination front and back. Locks – Kryptonite locks are one of the most reliable brands to protect a bike from theft. A good rule of thumb with locks is to spend 20 percent of the cost of the bike on a preventive lock. The KRYPTONITE KryptoLok Series 2 U-Lock w/ 4′ Cable lock is one product in their range, but there are many other lock types to choose from in order to secure the bike to a bike rack. Pump & Repair kit – The Vibrelli Mini Bike Pump with Glueless Puncture Repair Kit can be a good solution to satisfy tire pump and tire repair needs. Helmet – The Schwinn Traveler Adult Helmet is a white/green color combination that is an attractive option among many. Bell or Horn – Don’t forget either a bell or horn to get the attention of pedestrians or other road warriors when that’s needed. When looking to purchase one of the best bikes for college, it is important to choose just the right bike. After all, once purchased, that bike will be used for several years to come. For students on a limited budget, the recommended bike on a budget is the one to choose. However, if it is possible to stretch the budget to afford something a little better then the buyer will surely get their money’s worth. Lastly, please do bear in mind that it will be necessary to purchase several of the road bike accessories, detailed above, to keep the cyclist and the bike safe. Therefore, this needs to be included in any calculation of the total cost of a bike for college.